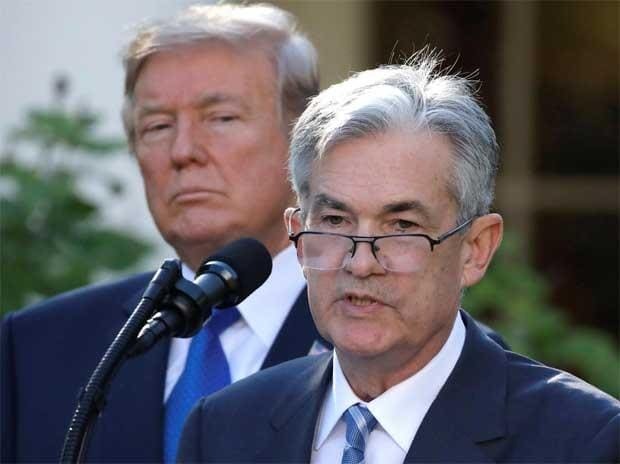 President Donald Trump has discussed firing Federal Reserve Chairman Jerome Powell as his frustration with the central bank chief intensified following this week’s interest-rate increase and months of stock-market losses, according to four people familiar with the matter. Advisers close to Trump aren’t convinced he would move against Powell and are hoping that the president’s latest bout of anger will dissipate over the holidays, the people said on condition of anonymity. Some of Trump’s advisers have warned him that firing Powell would be a disastrous move. Yet the president has talked privately about firing Powell many times in the past few days, said two of the people. Any attempt by Trump to push out Powell would have potentially devastating ripple effects across financial markets, undermining investors’ confidence in the central bank’s ability to shepherd the economy without political interference. It would come as markets have plummeted in recent weeks, with the major stock indexes already down sharply for the year. White House spokespeople declined to comment, as did Fed spokeswoman Michelle Smith. Trump’s public and private complaints about members of his administration have often been a first step toward their departures -- including former Attorney General Jeff Sessions, his first Secretary of State Rex Tillerson and outgoing chief of staff John Kelly. It’s unclear how much legal authority the president has to fire Powell. The Federal Reserve Act says governors may be “removed for cause by the President.” Since the chairman is also a governor, that presumably extends to him or her, but the rules around firing the leader are legally ambiguous, as Peter Conti-Brown of the University of Pennsylvania notes in his book on Fed independence. Such a move would represent an unprecedented challenge to the Fed’s independence. Though he was nominated by the president, Powell was thought be insulated from Trump’s dissatisfaction by a tradition of respect for the independence of the central bank. Trump’s frustration with Powell has greatly intensified in recent days, said two of the people. Though Trump’s aim is to stop interest rate increases that slow economic growth, such a move could backfire by roiling already turbulent financial markets. Even routine changes at the top of central banks create uncertainty in markets as investors try to assess how tough a new leader may be in preventing the economy from overheating and accelerating inflation. Another problem with dismissing a sitting Fed chief may be finding a replacement who wants assurance that he or she won’t succumb to the same fate as Powell. Trump is in the midst of a rolling shake-up of his administration. Since the November midterm elections, he’s announced the exits of Sessions, Kelly, Interior Secretary Ryan Zinke and Defense Secretary James Mattis. At the same, the threat of a government shutdown has added to the sense among investors of disarray in Washington. Equities just recorded their worst week since 2011, with the S&P 500 falling 7.1 percent and the Nasdaq Composite descending into a bear market. Trump has laid a lot of the blame on the Fed, saying at one point in October that the central bank was “going loco” for raising rates. Some of Trump’s ire has been directed at Treasury Secretary Steven Mnuchin for his part in persuading the president to select Powell to lead the Fed. Powell has borne the brunt of the criticism recently, peppered by public complaints about interest rates from the president and at least one of his advisers. Less than two weeks ago, before the Fed’s latest rate decision, Trump said Powell was “being too aggressive, far too aggressive, actually far too aggressive.” He told Reuters the central bank “would be foolish” to proceed with a rate hike. The Fed announced a widely anticipated rate hike on Wednesday and Powell signaled he’ll be more cautious about tightening next year. But investors’ concerns over the chairman’s comments led to U.S. equities to record their steepest declines for any Federal Open Market Committee announcement day since 2011.